Greetings beloveds! I am Archangel Metatron and so pleased to be with you now. I come to you, of course with the gift of frequency, allow this into your being, allow your energy level to rise now. But I also come with an important message, and this message will expand on what Melanie was speaking about earlier, before this call. She spoke of a Star gate that is going to occur on the 12th this is a powerful time on your Earth, for it is a time of alignment with the cosmos. You may be aware that there are more dimensions than the one you currently live in, which we will call the 3rd dimension, in fact there are many more, up to twelve which you have the ability of experiencing in your lifetime. The Star Gate on Dec 12 is a time in which energy is flowing onto your Earth. You have learned ways in which you can capitalize on this energy, consciously projecting joy is key. I will repeat this again, consciously projecting joy is key. As you send joy to others you allow more to enter into your own life, for you see as humanity, you are all connected you are all one there is no difference between you. Sending joy to one another allows more joy into your own life, and also more joy into your neighbor's life your friend's life, your enemy's life. As you choose joy you are shifting the collective consciousness for you are not separate. Your belief in duality may tell you that oh you are an individual, you are unique and while this is true to some extent for you do display individual characteristics and you are a beautiful vibrant unique being. But at the same time you are all one with all that is. And so in order to create the shift which you yearn for, the shift from pain, to joy and love, you must look within. The answers you are looking for do not lie in someone else making changes, it is up to each and every one of you to make the change inside of you, and allow it to spread throughout consciousness, to spread throughout the collective. To raise the vibration of yourself, automatically raises the vibration of those you come in contact with. For this reason we are so glad you are here so I, Archangel Metatron have the opportunity to speak with you about these energies so that you may use the Star Gate. We call it a Star Gate because; it is an opening. The energy of the Angelic and the Celestial realms are more easily accessed on this day which is Saturday December 12th. This is why there was some urgency for us in urging Melanie to begin these calls, for us to be able to share with you simple things, simple shifts that will have lasting and profound effects on your life. Choose joy on the 12th this is simple yet it is so important, choose it for yourself and you will be able to impact others. Smile at everyone you meet, invite others into your home, be happy, be love, it is easy and then it will continue to build. The energy of the Star Gate leading up to the peak on December 21st the Solstice magnifies your emotions. It will cause you to experience more sadness if that is what you are feeling, but this does not have to be the case, as I Archangel Metatron, mentioned projecting joy on the 12th is huge. I am repeating this and you may be tired of my repetition but it is important. Project joy on the 12th! You will then be able to ride the wave of light I will say. As light pours in, it stirs up things. As light pours in onto the Earth it may seem as though everything will be blissful, everything will be fine. Light is love and light feels good. So why is it that at with all this light pouring onto your Earth, why is it that sometimes you do not feel good? Sometimes you feel confused and overwhelmed; this is because the light and darkness cannot exist in the same place. So as you allow light into your body, which you are doing now by being a part of this channeling. As you allow the light into your body the darkness and the negativity comes up and it does so for a specific purpose. It comes up so that you can release it and you beloveds are the only ones who can release this for you. Focus on yourself and pay attention to what you are feeling this month filled with amplified energy, and always. If you are feeling sad, ask yourself why, your emotions are bringing you messages, so if you feel angry there is a reason. Allow yourself to be honest, listen to yourself, and ask yourself “why do I feel angry now?” “What is it that my Self is trying to tell me?” “What does this mean for me?” and then listen. Something may have happened, or you may be feeling anger from something that happened long ago, whatever the case is, it is simple to release it and we will give you a couple of ways to do this. One, simply ask, your angels and your guides to take your anger. For example you may say “Archangel Metatron, I am feeling angry and I do not want to, I want to consciously project joy, will you please take my anger?” Know that we are more than happy to take any emotion that is uncomfortable for you, away. Your emotions do not affect us in the same way, so do not even begin to worry about passing it along to us, we are more than happy to help you in this and all manners. Simply ask for us to take your uncomfortable emotion away and notice immediately that your energy shifts, notice immediately that it is gone. Then choose what you would like to replace it with, just think “Instead of anger I choose to experience peace, I choose to experience happiness calmness, tranquility.” Yes you are experiencing this now, and remember you can experience this always. Now you are at a place of increased energy increased frequency, and remember that it is possible for you to return here always, simply ask. 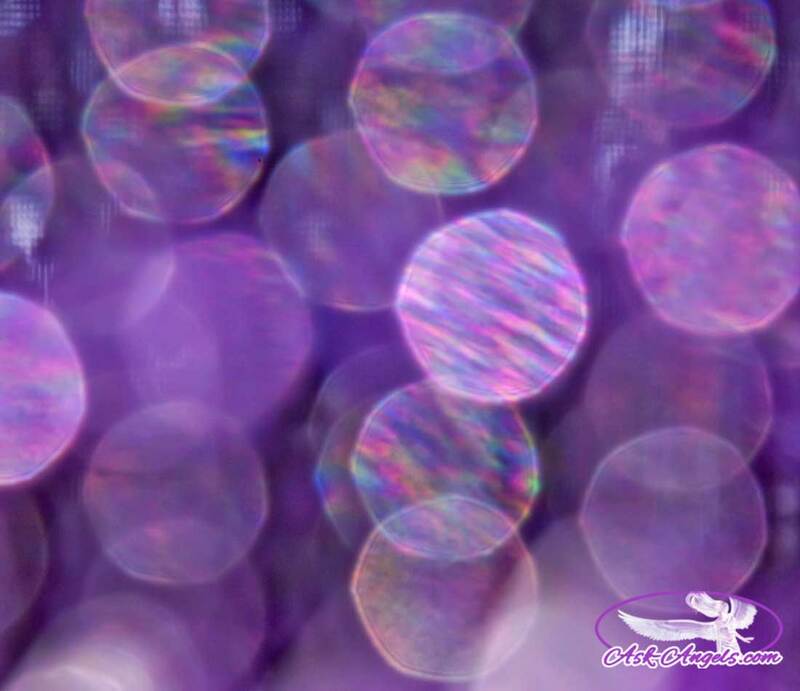 At the beginning of this message, Melanie asked for angels to surround her, and to surround all of those who will read or hear this message, Angels were called in to fill the building, the outdoors, and to radiate love and positive energy. This is something that she and you can do more often. When you are working ask for angels to be with you, to lighten the mood and lift the vibration and when you see someone who has a frown on their face smile and then choose to feel good. Emotions are not connected to you, you are not your emotions but rather emotions flow through you much like how a storm flows across and through your Earth. Have you noticed that on occasions you are feeling great, you are having a wonderful day remaining centered, happy, and peaceful. And then like a fast approaching storm it shifts, and you feel terrible. Often the case is you have come into proximity with someone who was dabbling in thoughts and emotions which are not in line with your preferences, and since you are connected to that person, since you are connected to all people it is easy for this emotion to pass from them into you. But remember, it is also easy for you to return to your balanced place, to your center. You can do this by handing the uncomfortable emotion over to me, Archangel Metatron or any angel and replace it with love. When you are doubtful as to what to replace the emotion with, say you are feeling scared, what do you replace this emotion with? Love! Love is the place for you to return to always. As light washes out darkness, washes up issues from your past or your present for you to release pay attention, this is an important aspect of your own personal evolution. It is important for you to clean out the junk, we call it, that you have accumulated over lifetimes. For once you clean out your closet you are able to step into your light body, your magnificence, your divinity. Remember? This is who you are always. You have simply clung, simply gathered things that do not serve you. The energies coming into the Earth at this time offer you an incredible opportunity to move into your next level of your being. Beloveds you are ready, and I Archangel Metatron as well as your own Spiritual Guides and Angels support you in this. Release your negativity. At this time, with the assistance of Archangel Michael, any and all cords to negativity are cut. Any energy that is yours that has been drained by others consciously or unconsciously is rewoven back into your fields, into your aura. Any and all attachments are released and negativity dissolved. Feel your consciousness in your heart, feel that place of centeredness and love and on the 12th, 13th, 14th, 15th, 16th 17th 18th 19th 20th 21st and always return to this! It does not have to be difficult; simply shift your thoughts when you recognize that you are experiencing anything that is less or opposite of what you truly desire to feel. Simply shift it. Your emotions are your guidance system. When you feel bad it is simply a message from your Higher Self telling you that your thoughts are not in alignment with what you want to manifest. So when you feel horrible change your thoughts, this can be difficult but it doesn't have to be, remember you can simply give us the emotion that you do not like, that you do not want and then we will assist you in returning to the emotion of love. Beloveds the Solstice energy magnifies your emotions. For many this presents challenges, but not you, for you are aware and you are ready. By consciously projecting joy and love you will not only have an incredible Solstice, but an incredible new week and year and life ahead of you. Use these energies and know that it is not small. Know that your contribution to the light is quite powerful indeed. One person shifting their emotions for one day has a tremendous effect on the overall well being of collective consciousness. So believe in yourself and honor yourself. You deserve to experience joy and love always. Peace, happiness, bliss, this is yours. Call upon us often, yet know that we are always with you, we are simply a thought, or a breath away. Think angels and we are with you, we love you and look forward to connecting again with you soon. I Archangel Metatron leave you with my utmost blessing and love and bid you goodbye for now. I think this is a little out of date and don’t understand why it is being posted now. I wish I had seen it last year.